Bernice Jan Liu (born January 6, 1979) is a Canadian actress, singer, and commercial model based in Hong Kong. She has previously held the title Miss Chinese Vancouver 2000 as well as Miss Chinese International 2001, the latter position bringing her fame in Hong Kong. Miss Chinese (Vancouver) Pageant or MCV for short is an annual beauty pageant organized by Fairchild TV that selects Vancouver's representative for the annual Miss Chinese International Pageant that is held in Hong Kong, organized by TVB. The pageant replaced the Miss Vancouver Chinatown Pageant, which selected Vancouver's representatives to the Miss Chinese International Pageant from 1988 to 1995. Miss Chinese International Pageant(國際中華小姐競選) or MCI (華姐) for short, is an annual international beauty pageant, organized and broadcast by TVB, a leading network television station in Hong Kong. Liu was best known for her role as Princess Sam-tin in the long-running TVB sitcom, Virtues of Harmony , which was also her first role after joining TVB in 2001. Liu's singing breakthrough came to an attention in 2005 after she lent her voice for the theme song of the 2005 TVB serial drama, Into Thin Air . The theme song, "Truth," was Liu's first theme song and was one of the primary promotional songs for the TVB compilation album, Lady in Red (2006), which sold past 10,000 copies in the first day of release. Liu was also listed by critics as one of the few TVB artists to look forward to in a future singing career. Liu left TVB in 2011. Virtues of Harmony is a Hong Kong television sitcom produced by Tsui Yu-on for TVB, which originally aired on TVB Jade from 17 September 2001 to 28 December 2002. It stars Nancy Sit, Frankie Lam, Michael Tse, Joyce Chen, Bondy Chiu, Cutie Mui, Louis Yuen, Yvonne Lam, Johnny Tang, Bernice Liu, Lau Dan, Stephanie Che, Joseph Lee, Hawick Lau, Johnny Ngan, Helen Ma, Timmy Hung, Sherming Yiu, Kingdom Yuen & Maggie Shiu. The series, set in the fictional town of Chi Lik Kung Tsan, revolves around the Kam House, a new rich family during the reign of the Chenghua Emperor. The story is inspired by the 2000 TVB comedy drama Colourful Life. Prince Rupert is a port city in the province of British Columbia, Canada. Located on Kaien Island, Prince Rupert is the land, air, and water transportation hub of British Columbia's North Coast, and has a population of 12,220 people. Prince Rupert Secondary was a public high school in Prince Rupert, British Columbia. Prince Rupert Secondary was a part of School District 52 Prince Rupert. Vancouver is a coastal seaport city in western Canada, located in the Lower Mainland region of British Columbia. As the most populous city in the province, the 2016 census recorded 631,486 people in the city, up from 603,502 in 2011. The Greater Vancouver area had a population of 2,463,431 in 2016, making it the third-largest metropolitan area in Canada. Vancouver has the highest population density in Canada with over 5,400 people per square kilometre, which makes it the fifth-most densely populated city with over 250,000 residents in North America behind New York City, Guadalajara, San Francisco, and Mexico City according to the 2011 census. Vancouver is one of the most ethnically and linguistically diverse cities in Canada according to that census; 52% of its residents have a first language other than English. Roughly 30% of the city's inhabitants are of Chinese heritage. Vancouver is classed as a Beta global city. Liu received her first role that same year and portrayed Princess Sam-tin in the 2001 costume sitcom, Virtues of Harmony . The sitcom was a ratings hit, becoming a popular prime-time family watch for the audiences of Hong Kong. Originally a 100-episode sitcom, TVB extended the sitcom to 300 half-hour episodes, becoming the longest costume sitcom TVB has ever produced. Liu's role as the runaway princess was also highly recognized, and she became unofficially nicknamed as "Princess" by fans and the media for a while. However, in her early acting career, her portrayal earned mixed reviews due her lack of fluency in Cantonese. In 2002, after a successful reception of Virtues of Harmony, TVB decided to produce a modern spin-off for the sitcom. Liu was given the role Joey Wong, an undergraduate fashion designer working for her father's company. That same year, Liu recorded songs for Happy Together, a soundtrack consisting of songs recorded by the Virtues of Harmony cast. The album was released on February 6, 2003. While Virtues of Harmony II filming was active, Liu was given a recurring guest role in the 2002 serial drama, Golden Faith as Alice Yiu, starring opposite Gallen Lo. Golden Faith did well in Hong Kong but received mixed reviews from critics. While some critics regard it as a masterpiece, other critics whiplashes the series for its unrealistic characters. Nonetheless, the drama achieved a high rating spot, becoming one of the top ten most viewed Hong Kong series of 2002. Virtues of Harmony II was released in 2003 and also well received with good ratings. Liu, however left the series in 2004 due to co-star Frankie Lam's rocky marriage to actress Kenix Kwok. Lam ultimately never returned to the series even when it concluded in January 2005. The incomplete ending for Liu left viewers upset. The Virtues of Harmony II is a long-running TVB television series, which follows its first series, Virtues of Harmony, a series set in Imperial China. It stars Nancy Sit, Frankie Lam, Michael Tse, Joyce Chen, Bondy Chiu, Cutie Mui, Louis Yuen, Yvonne Lam, Johnny Tang, Bernice Liu, Lau Dan, Stephanie Che, Joseph Lee, Hawick Lau, Johnny Ngan, Helen Ma, Timmy Hung, Sherming Yiu, Kingdom Yuen & Maggie Shiu. This new, second series of the Virtues of Harmony is set in Modern Hong Kong. Her first theatrical motion picture role was in My Wife is 18 (2002). Liu portrayed the supporting role, Miss Lee, a Physical Education teacher who is attracted to Ekin Cheng's character, Sap-Saam. The film won "Best Comedy Film 2002" in Hong Kong. Liu then attracted broader attention for her role as Jessica Chiang in the 2003 serial drama Survivor's Law , in which she played a sweet and clumsy trainee solicitor. The role received her critical praise and she became a popular candidate for Most Improved Actress at the annual TVB Anniversary Awards. Survivor's Law was the eighth most viewed series of 2003, peaking at 37 ratings points. Ekin Cheng is a Hong Kong actor and singer. Early in his career, he used the name Dior as a first name. He has also been referred to as Noodle Cheng, (鄭伊麵) after a popular noodle product with a similar name and his wavy long hair. Currently Ekin is the name used. Liu's first and most successful solo song to date. Liu's singing career began a rise in 2005, when she sang the theme song for Into Thin Air . The theme song became a promotional single for Lady in Red , a compilation album consisting of TVB theme songs and sub songs. The single became a number one hit and won a Jade Solid Gold recognition in 2006. Following the success of the single that same year, Liu won the "Best Newcomer Awards at the Jade Solid Gold Top 10 Awards. Liu then began to sing a chain of other songs for television series, such as "Break Up" (also a track in the Lady In Red compilation), "Do You Still Need to Care," and "So in Love With You." Liu emerged as a dark horse candidate as TVB's top-earning artists of 2006, mostly due to her numerous endorsement contracts. In the summer of 2006, Liu earned a contract with Nike, and became the first Asian spokesperson for the company. Her posters are now all over Asia promoting Nike products. In 2007, Liu beat award-winning-actress Charmaine Sheh to claim TVB's top earning artist spot of 2007 earning HK$4.8 million. Liu, along with Myolie Wu, Nancy Wu, and other TVB stars, became judges for 2007 Mr. Hong Kong. In early 2011, after filming Show Me the Happy and Home Troopers with TVB, Liu left the station. She is currently filming for Ricky Wong's new network, HKTV. She is also starring in Singapore's MediaCorp 5 Lion Moms TV series. 2008: Vanness Wu - "She's Not Sorry"
Nancy Sit Ka Yin is a Hong Kong actress on the TVB network. Her acting career dated back to the 1960s, when she was a popular teen idol alongside Connie Chan Po-chu, and Josephine Siao. Sit recorded many albums in her teens, and later served as a mentor to Anita Mui, who went on to become one of the biggest superstars in Hong Kong history. Fairchild TV or FTV is a Canadian Cantonese language Category A specialty channel. It is co-owned by majority owner Fairchild Media Group and Television Broadcasts Limited which owns 20% of the business. Fairchild TV has studios in the Greater Toronto Area and Metro Vancouver Regional District. Julian Cheung Chi-lam, better known by his stage name Chilam, is a Hong Kong singer and actor. Cheung is popularly known for his role as Guo Jing in the 1994 TV series adaptation of the Wuxia novel, The Legend of the Condor Heroes, and also as Chi-Kin from the TVB drama Cold Blood Warm Heart (1996). Kate Tsui Tsz-shan is a Hong Kong actress, who is best known for her work with Television Broadcasts Limited (TVB), and to an extent, for her film work. She also holds the Miss Hong Kong 2004 title. Sonija Kwok is a Hong Kong actress, worked for TVB until July 2015. Steven Ma Chun-wai is a Hong Kong actor and singer. In 1993, Ma won a record deal after winning first place at an annual singing contest in Hong Kong, later releasing his debut album, Lucky for Meeting You (幸運就是遇到你), that December. Not long after his singing debut, Ma joined TVB and began filming television dramas, later achieving fame through his supporting role in 1995's legal drama File of Justice IV. Many of Ma's television works are critically acclaimed and are popular successes in Hong Kong, Mainland China, and Southeast Asia, he has starred in several popular TV series, most notably Healing Hands (1998), Return of the Cuckoo (2000), Where the Legend Begins (2002), Steps (2007), A Watchdog's Tale (2009-10), Ghost Writer (2010), The Life and Times of a Sentinel (2011), Storm in a Cocoon (2014) and Deep in the Realm of Conscience (2018). Ma currently holds the record for holding the most "Favourite Character" awards with a total of four recognitions. Ma's best known for his portrayals of historical characters in many period television dramas. Natalie Kei Ying Wong is a Chinese actress affiliated with TVB in Hong Kong. Angela Tong is a Hong Kong actress. She was born in Montreal, Quebec, Canada with family roots in Shunde, Guangdong, China. She was Miss Chinese Montreal 1995. She was educated in Concordia University. Miss Hong Kong 2007 pageant, the 35th Miss Hong Kong pageant was held in the Hong Kong Coliseum on 21 July 2007. Sixteen delegates competed for the title. Contestant #3: Kayi Cheung was crowned the winner by outgoing titleholder, Aimee Chan. Lorretta "Lori" Chow is a Hong Kong-Canadian fashion model, actress and singer active in the Hong Kong entertainment industry. She was the second runner-up at the 2007 Miss Hong Kong Pageant and a former managed TVB artist. She released her debut single, "Discreet" (不失禮) in August 2013. Tracy Chu Tsin-suet is a Hong Kong-born Canadian actress and television presenter. Chu debuted in the industry through the Miss Hong Kong Pageant in 2012, finishing as the 2nd runner-up. Her first role was in the high-profile The Hippocratic Crush II, starring opposite Lawrence Ng. Carat Cheung is a Canadian-Chinese actress, model and former beauty pageant queen currently based in Hong Kong and currently under Television Broadcasts Limited (TVB) management. She is the winner of the 2012 Miss Hong Kong Pageant. ↑ "Stephy Tang and Charmaine Sheh wears the same shoes". The Sun (in Chinese). 2006-05-13. p. 1. Retrieved 2009-01-09. ↑ "TVB promotes artists to music industry, Linda Chung wins with 42%". Yahoo! 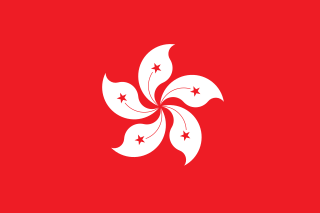 Hong Kong (in Chinese). 2008-08-22. p. 1. Archived from the original on 2009-01-12. Retrieved 2009-01-09. ↑ "Emme Wong waits to attend 'Mr. & Mrs. Smith' premiere". CNMDB (in Chinese). 2005-06-09. p. 1. Archived from the original on 2011-07-08. Retrieved 2009-01-10. 1 2 "Toronto beauty Bernice Liu wins crown and two other awards". Epoch Times (in Chinese). 2001-01-21. p. 1. Retrieved 2009-01-09. ↑ "High ratings for TVB's "Virtues of Harmony"". Yinsha (in Chinese). 2004-06-16. p. 1. Retrieved 2009-01-09. ↑ "becomes a "great grandmother"". Yahoo! Hong Kong (in Chinese). 2008-12-27. p. 1. Archived from the original on 2008-12-29. Retrieved 2009-01-09. ↑ "Bernice Liu Returns to Hong Kong for ViuTV's "Margaret and David"". JayneStars. 2016-03-31. Retrieved 2015-04-04. Wikimedia Commons has media related to Bernice Liu .